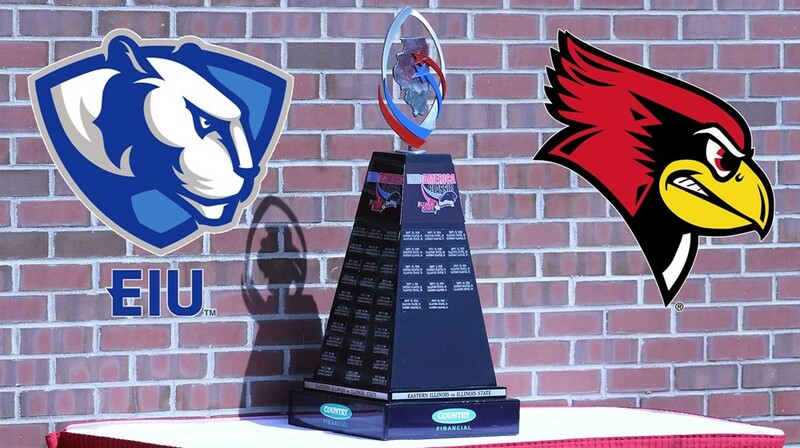 Eastern Illinois (1-1) hosts Illinois State (1-0) Saturday in the oldest FCS rivalry in the state. Kickoff is 2 p.m. at O'Brien Field in Charleston. Here's what you need to know. This will be the 106th playing of the Mid-America Classic with Illinois State holding a 54-42-9 all-time series lead. Each school has won on the road in the last two games with EIU winning 24-21 in Normal last season after ISU won 34-31 in overtime in 2015 in Charleston. The rivalry is the 14th oldest in the FCS. The two schools began playing for a traveling trophy at the 100th meeting in 2011; that game was won by Eastern Illinois. Since then, EIU has won in 2013 and 2016. ISU won in 2012, 2014 and 2015. Three of those games were decided by a field goal and one was a seven-point margin. "It’s huge for our team. It’s something they take great pride in. When it’s (the trophy) in our building like it’s been the last year, it’s very important. It’s big for recruiting. It’s sitting right in front of our building. The first thing that a recruit sees when he walks in is that trophy. "I told our kids this week, hey, this is a playoff game.That’s the implication we have when we play them. There’s always playoff implications. If you look back to last year and the year before." "This is a rivalry game. You can throw the statistics out. You can throw the records out. "We know we’re going to get their best, that’s how it is. We can’t really worry about them, we’ve got to worry about us, so our focus is to try to get better." "This game is very important. At the end of this game, we start our conference run. To get a win against Illinois State would be huge for us." "I will give everything. I will leave everything I have on the field to keep this trophy here for us. There is nothing I want more than to keep this trophy here." "Since freshman year the desire to win has always been there, but this being my senior year, makes it even greater." "We’re used to having it. We want to get in back into the middle of the Kaufman Building. Seeing it there is a great feeling. (If we can win the game and return the trophy then) It’s back home." ISU offense vs. EIU defense: The Panthers must overcome the loss of two starters (DL Josh Price and S Bradley Dewberry) who will miss the first half because of targeting calls last weekend. "They’re both very big losses," Dameron said. "Take two starters off your defense and it’s a big loss, but we can’t worry about that. We can’t control that. That’s in the rearview mirror, we’ve got to go forward." EIU running game vs. ISU front four: The Redbirds feature a veteran and highly decorated defensive line. The Panthers struggled to run the ball in last week's loss to Northern Illinois. EIU must find a way to get some yards on the ground or it could be a long afternoon for quarterback Mitch Kimble. Kicking game: This game often comes down to last-second field goals. EIU senior Nick Bruno will again be a game-time decision after sustaining an injury in warmups during the season opener. Meanwhile, ISU senior Sean Slattery nailed a 46-yarder and made all six extra points in the Redbirds' romp over Butler two weeks ago. Eastern will play without senior tight end Addison Bounds, who was injured on the final play of the Aug. 31 win at Indiana State. 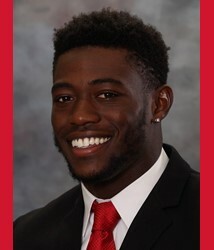 Bounds, who grew up close to ISU, scored a touchdown in last year's Mid-America Classic. He also recovered the onside kick to seal the EIU victory. ISU and EIU have played 105 times, with the first game being played in 1901. The Redbirds have won 10 of the last 15 games and lead the series, 54-42-9.